I was taking a run in my giant hamster wheel last evening when it occurred to me that you fine folks might not be aware of just how much the boys in the lab love to be visited. And by visited, I mean stared at while they continue working – we keep the whip cracking around here. But we are a local caster dealer, open to the public, located in Spokane, WA. You can call in or buy online from anywhere, but sometimes it’s nice to be able to just walk in and chat with someone face to face. If you live in the area, or are passing through, feel free anytime. Well, anytime Monday through Friday, 8-5. We let the attack dogs loose after closing, so don’t be late. 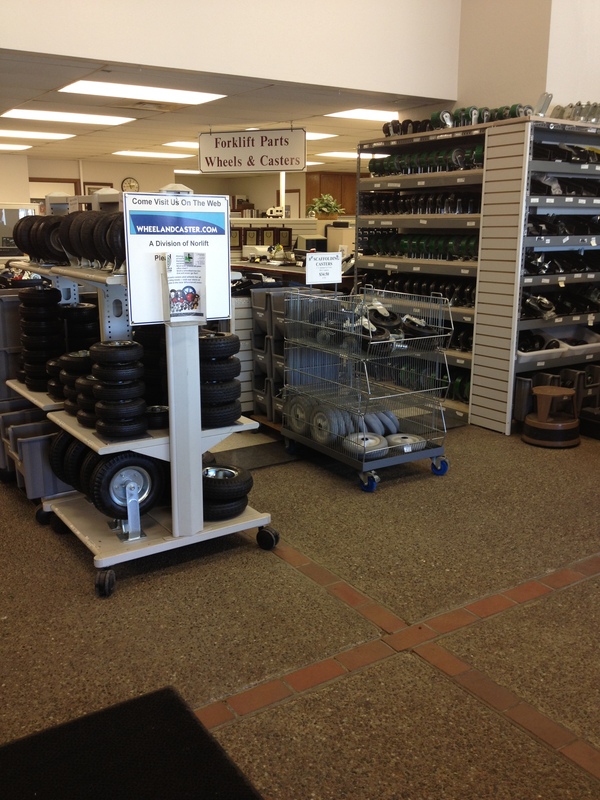 Wheel and Caster is a locally owned business located in Spokane, Washington. We ship all over the country and strive to provide quick, helpful service. Wheel and Caster is a division of Norlift, Inc, which is also a pretty cool place. You can read more about it at the Norlift blog.